Coach gives each player has a number (1,2,3 etc.) and a ball. 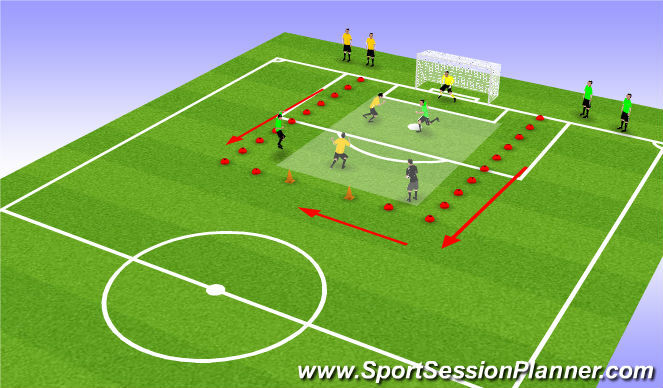 Coach calls number .. That player runs up the line of red cones keeping the ball under close control. 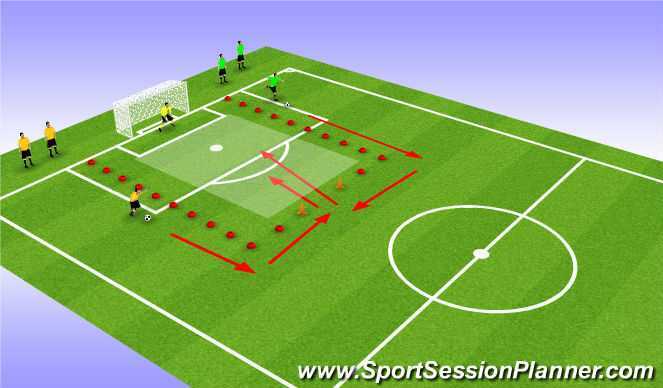 Player enters the gates (orange cones) and shoots first time ..
4) Team work - Once completed the shot, get back in your team so the next man can go. As before - Coach gives each player has a number (1,2,3 etc.) and a ball. Coach calls number .. The players runs up the line of red cones keeping the ball under close control. THIS TIME- the LIVE shooting ball is the the first player to enter the gates with his ball, the player in 2nd needs to leaves his ball and try to steal his oppents ball before trying to score. 2) Vision - Keep the head up and look where to run,and see where his openent is. 5) Team work - Once completed get back in your team so the next man can go. 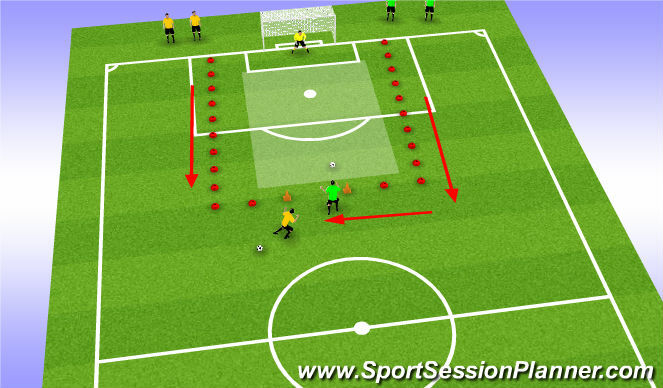 5) Team work - Trying to find space to recieve, control and shoot the ball whilst in the designated area.